Over Labor Day weekend, my roommate and I hosted a barbecue, and since everyone knows I can’t host an event without some sort of schtick, I rented a tank of liquid nitrogen to make ice cream, and thus was born the Ice Cream Barbecue. Many of my friends are familiar with this method of freezing because of a long-running annual event that features the stuff, but I was unable to attend this year due to a theater gig, so this was my alternative. By the time the tank was gone, a total of 24 flavors had been made, and half of them were vegan! Which was, of course, awesome. 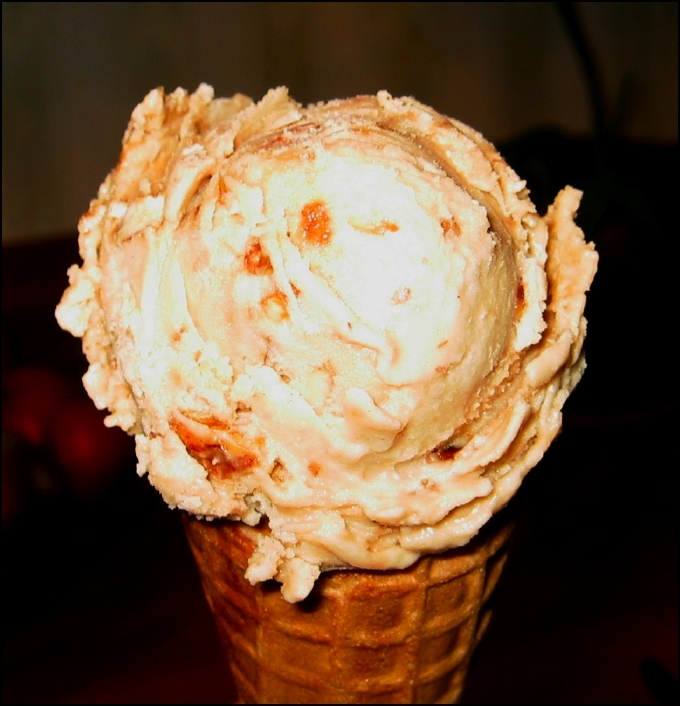 One of the flavors I made after the crowds were gone was this maple praline pecan. I found the praline recipe as part of another ice cream recipe and just winged it for the base. Don’t be fooled by how embarrassingly easy it is! Even cow’s milk folks loved this stuff and many assumed it was dairy even knowing I’d made it. In addition to the recipe, I’ve also included a (very) brief run-down of various ways to freeze ice cream.